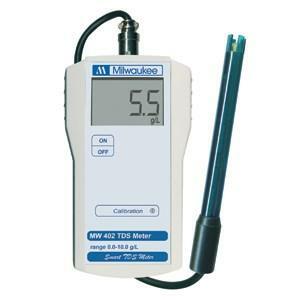 This unit is a conductivity and TDS Portable Meter, with Automatic Temperature Compensation, and is ideal for the educational and agricultural markets. Soil conductivity is checked before fertilizer application to pinpoint field needs and after fertilization to establish its effectiveness. The EC testing provides all agricultural operation with a method to optimize chemical applications and minimize operational cost. These instruments have been designed to meet the Grower's need for equipment suited to the aggressive environments found in agricultural and hydroponics applications. Probe included.